Beards are the in-thing these days worldwide and many people are accepting them as a fashion statement. Beard oils are quite popular these days as many men are grooming their beards to bring out a classy look. Since your beard style says a lot about you, it is wise to go for the best beard oil in the market. Organic beard oils are the best to go for because they present you with a means to promote your gentleman image. Many men rely on beard shampoo and conditioner, but beard oils present the best solutions to your facial hair. Not all beard oils are created the same and you should not be attracted only by the scent of the oils you choose. Go for quality beard oils that will not only help your facial hair grow faster, but also stronger and thicker. The basic use of beard oils is to moisturize your hair and face. These oils are known to soften your facial hair, as well as reduce itching and flaking. They also promote a healthier looking beard, and can imagine how using organic beard oils with nutrients will enhance the look of your facial hair. Some beard oils are designed for specific skin types. There are those manufactured for dry skins and come with intense moisturizers that offer hydration for your beard and face. For those with oily skin, there are lighter oils that will not clog the skin pores. For men with sensitive skin, there are hypoallergenic beard oils to use. Most of the beards oils available are scented. You can also get clean ones and spicy designs depending on your preferences. Many people go for herbal or organic beard products as they come in with better quality typically than spiced ones. 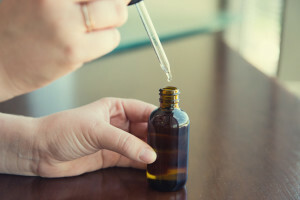 Beard oils can be made using different ingredients that give them unique properties. For instance, if you have a flaky beard, go for organic facial oils with coconut, grape seed, or tea tree oils. 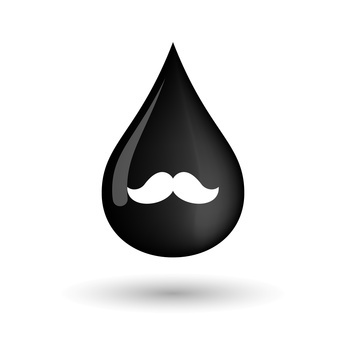 If you want to hydrate your dry beard, choose jojoba oil, castor or argan oils. For those who get acne after shaving their beards, try oils with vitamin E, argan, castor and sweet almond oils. 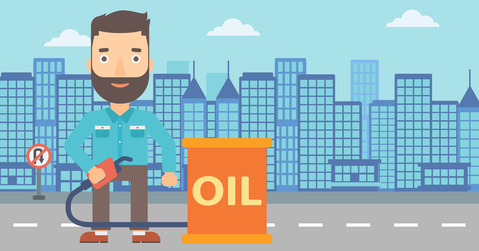 You can restore the shine of your beard with oils manufactured with sweet almond, argan and vitamin E.
If you are looking for the best organic oil product for your beard, then jojoba oil should be your first choice. It is derived from the jojoba plant commonly found in Southwestern United States and Northern Mexico. One of the most incredible feature of this jojoba oil beard product is its structural similarity to that of the sebum oil. It also looks like golden liquid and it contains zinc, vitamin E and D. These ingredients fortify it with exceptional conditioning, cleansing and anti-inflammatory properties. The light jojoba oil is great in any skin type and is easily absorbed by the hair follicles. It is a great organic oil that easily gets rid of acne and pimples that come with old age. This is a type of beard oil obtained from the leaves of the tea tree and is easily found in Australia. Beard tea tree oil is used to cure acne, fungus infections and many other beard hair related conditions. The antiseptic properties of the tea tree is one of the core features that attract many beard oil manufacturers. It kills fungi and bacteria. Hence, it is useful in cleansing and maintaining good health of beard hair follicles. Beard tea tree oil is also effectively treats the cradle cap disorder in children as well as prevents hair loss and promotes re-development of beautiful and healthy hair. Also, it acts as moisturizer to the beard hair and scalp that aids to control the excess oil and inhibits development of strands. Castor oil has in many years been used for beard improvement and it is extracted from the castor seed. It provides both antibacterial and antifungal properties and acts as a laxative. Coconut oil provides a rich impact when applied to the beard hair and the skin. It is also a great option if you want to moisturize your beard and keep it healthy. The mystic man beard oil is made with a pantheon of rare Mediterranean herb extracts as well as organic oils. When applied into the beard hair, it strengthens your hair and keeps it in the best condition. The organic elements contained in this type of oil helps eradicate the build-up of bothersome chemicals and dirt particles in your hair. This is a beard oil type that contains avocado oil, beeswax, shea butter and mango butter ingredients that make it stand above other types of beard oils. It is helpful in eradicating itching, flaky skins as well as revitalizes the facial hair from top to bottom and make it smooth. Argan oil possess high hydrating and damage repair properties. Argan oil is obtained from a shrub that is argan tree that can be found in morocco. It is rich in vitamin A, E and Omega-6 fatty acids and will help style your beard to the best shape and constrict your beard in positions. Organic beard oil is suited for your beard hair and face, and it does not have any side effects if properly used. It comes with ton of nutrients and offers some of the best solutions to the many beard problems you have been facing. Here are our best beard oils reviewed.